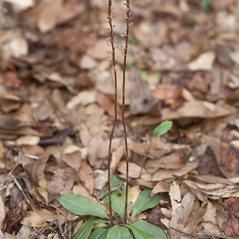 Mesadenus lucayanus, commonly known as Copper Ladies' Tresses, is distributed throughout the West Indies, Mexico, Central America, and in widely scattered wooded areas in northern and central Florida. 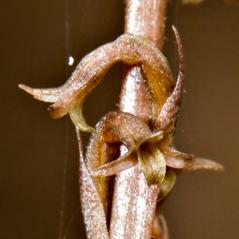 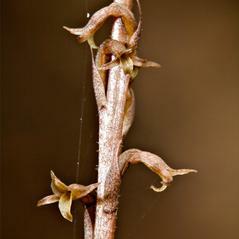 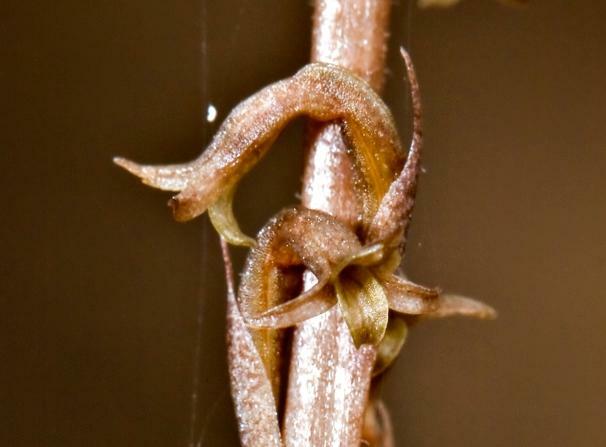 This orchid has 2-5 leaves in a basal rosette that wither at flowering time. 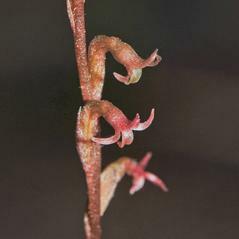 It bears an inflorescence of 8-60 very small (4-6 mm) coppery green flowers on a slender spike in late December through March. 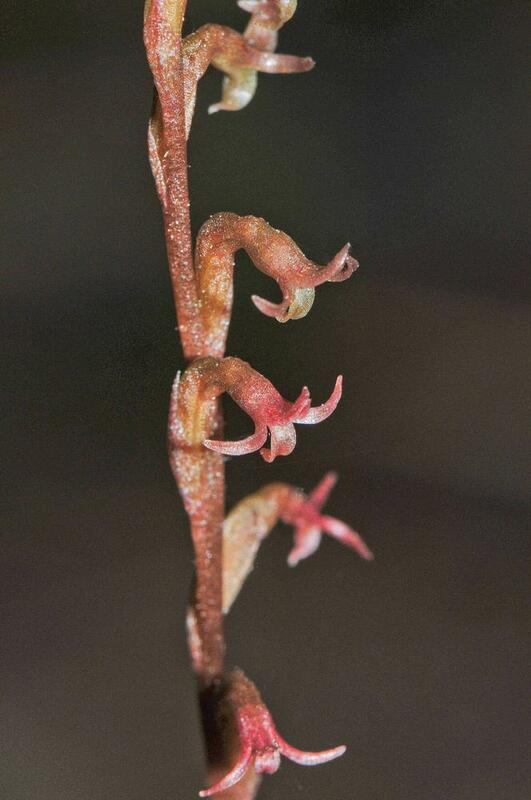 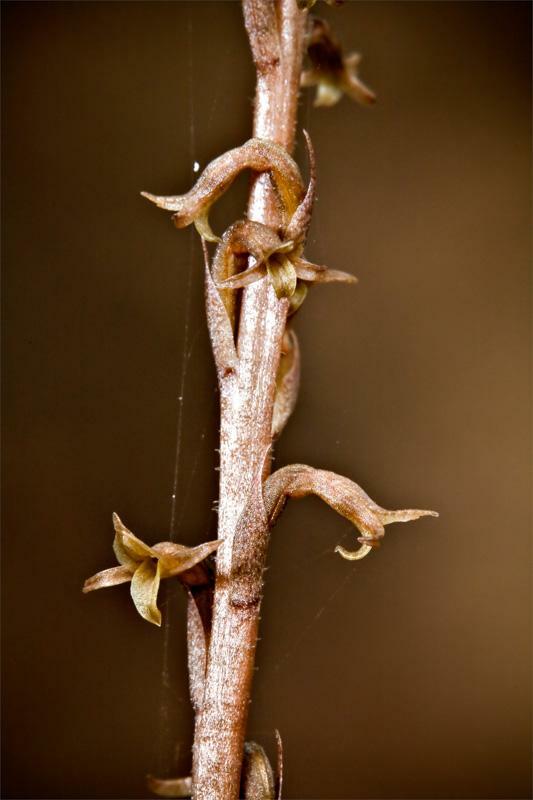 This species is found in cracks and crevices of rocky terrain and exposed limestone that support scrubby oak forests. 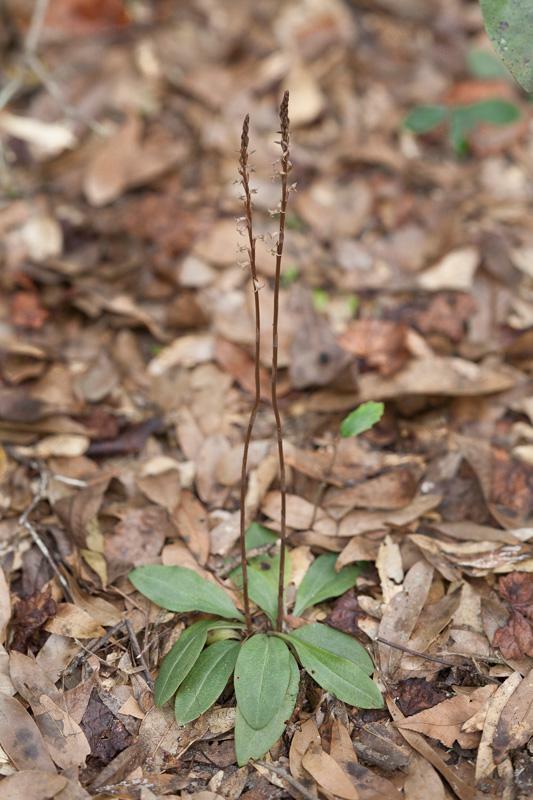 Mesadenus lucayanus is apparently secure globally because of its widespread distribution, although it is considered rare and endangered in Florida.